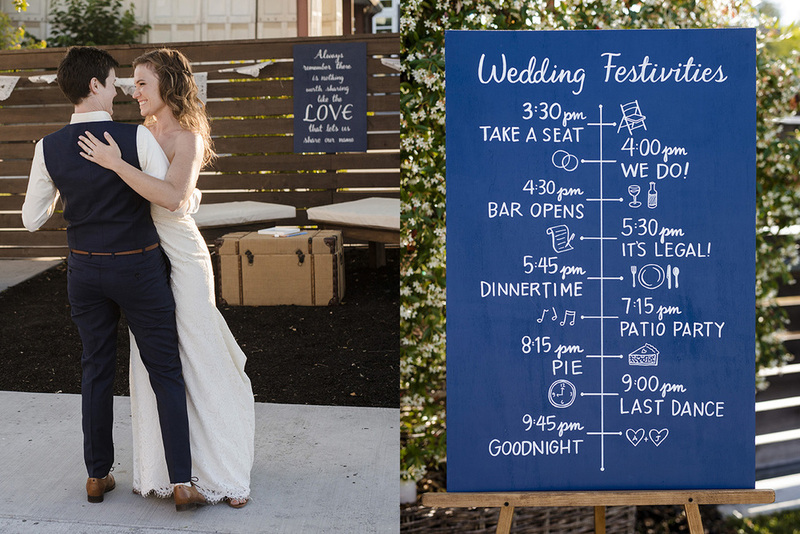 These brides wanted simple and modern stationary with hand lettered elements, and lots of crisp navy and white signs to punctuate their wedding day. 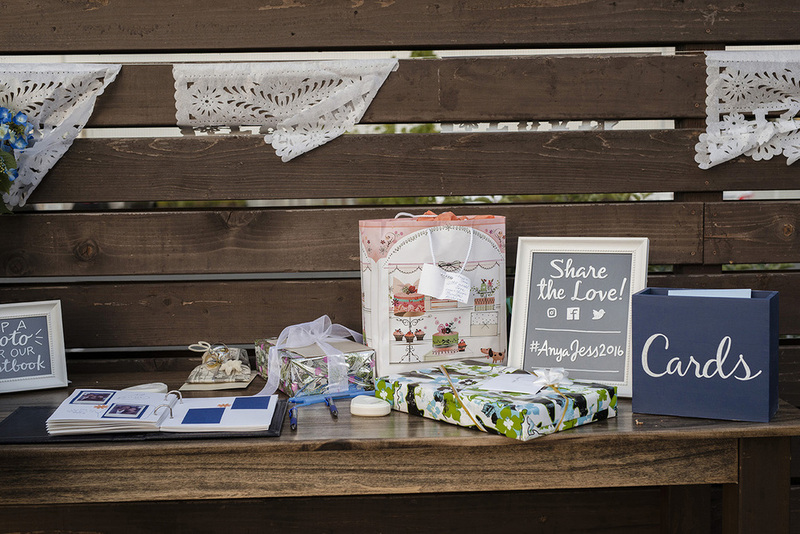 We came up with an accordion fold wedding invitation, that was both unique and cost effective. It was designed with one-color letterpress in mind! 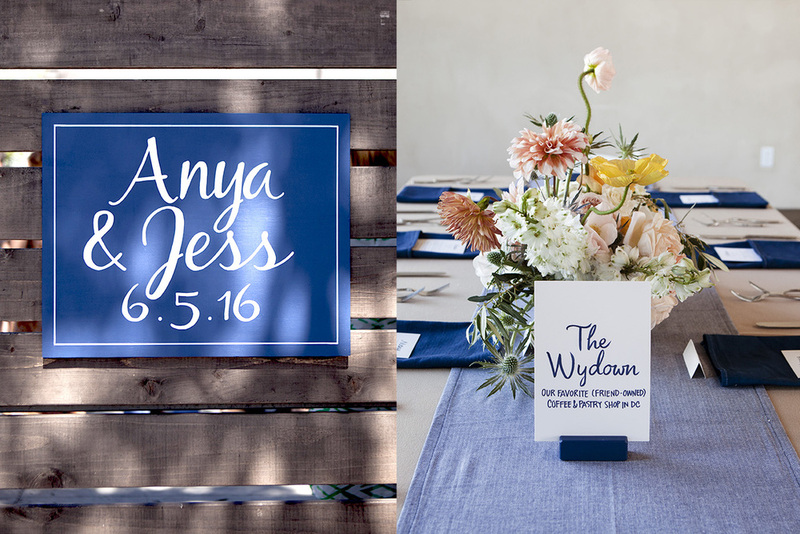 Brush lettering was contrasted by a geometric san serif typeface and a little patio light graphic. 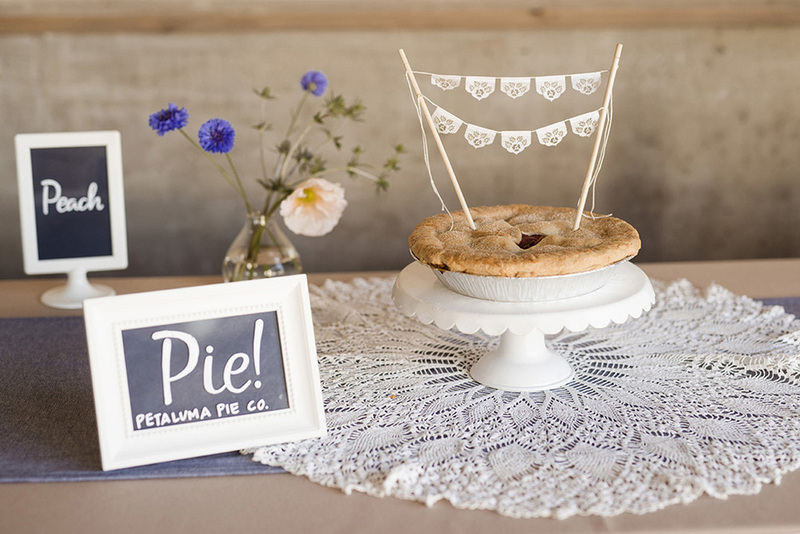 Signage was strategically placed around the venue to help guests navigate the space. 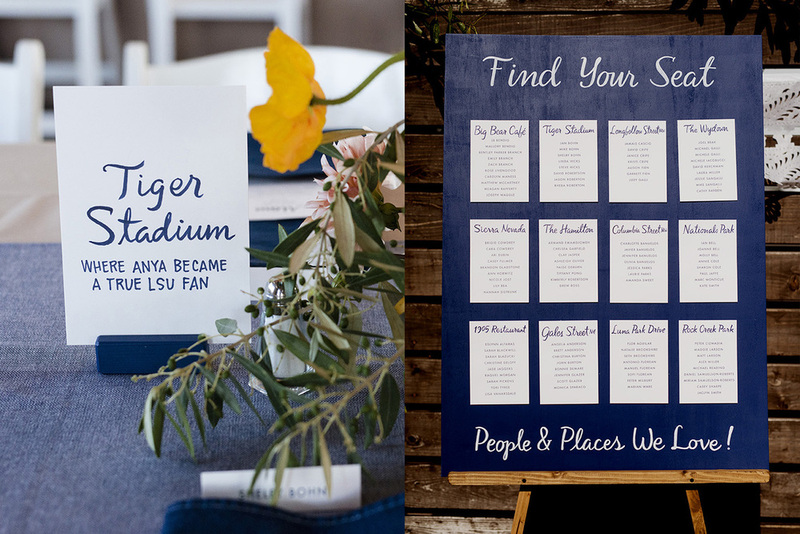 Brush pen calligraphy was used on the seating chart and table name cards. 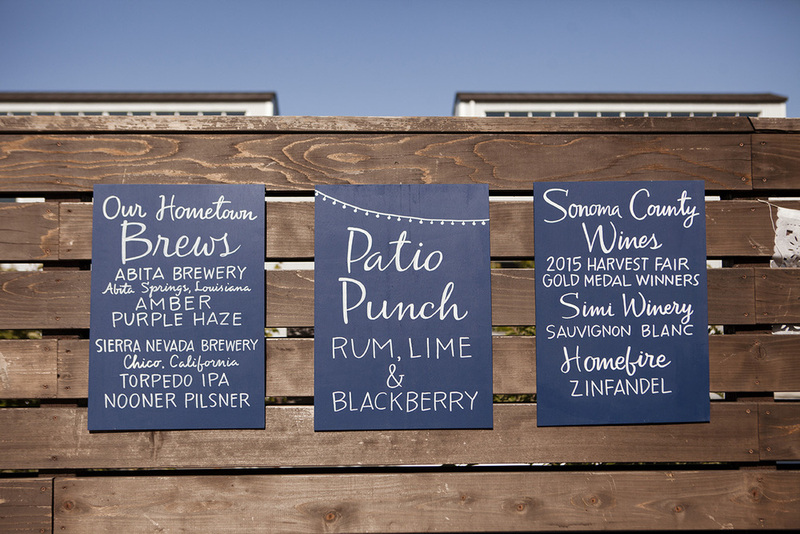 All together, it created a casual, romantic, Sonoma County patio party mood. 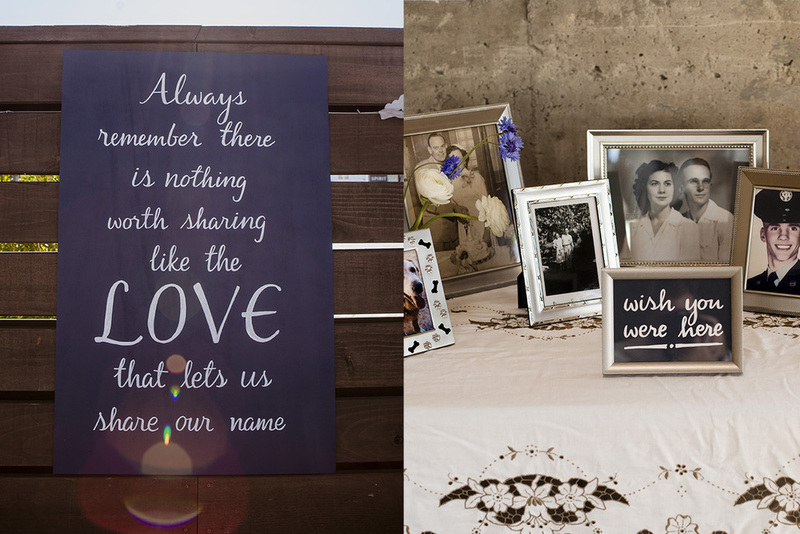 Materials used: Plywood, Ikea Frames, Cardstock, Paint Pens, Prismacolor marker, brush tip calligraphy pen.